Nearly 100 leaders from the private, social, and public sectors gathered at the Edelman offices in Chicago, IL on March 20 to discuss the issue, its importance to business, the puzzling lack of demand, and the extensive surplus of supply. More than 80 percent of attendees were women. The theme of inadequate representation persists. But first, the facts, which were laid out beautifully by Heidi Ridley, CEO of Rosenberg Equities, AXA Investment Managers. Diversity in the boardroom matters. It matters for the reason that all board members would tell you is the point of their existence—the fiduciary responsibility they have to their shareholders. In other words, the return they are responsible for overseeing. Companies with more diverse boards made more money. 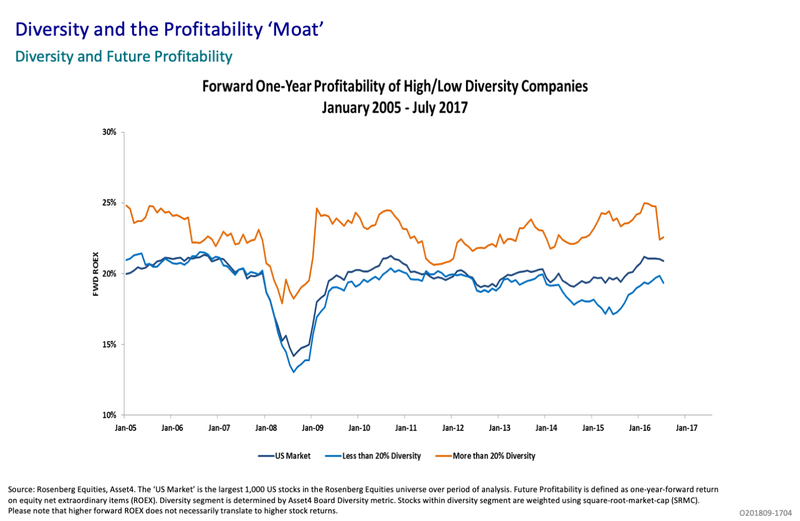 Given the fact that greater profitability and lower volatility correlate positively with diversity, why would boards not naturally come to a balance that would reflect the population? “The progress of women in the boardroom has been glacial,” agreed Cindy Burrell, President of Diversity in Boardrooms. Part of that problem is the lack of clear definition of diversity and regulation. “A Norwegian law passed in 2002 gave companies until 2008 to get 40 percent of women on their boards or they would be shut down. Norway achieved its goal of 40 percent, whereas the US is stuck at 20 percent. In 2009, the SEC released diversity guidelines which didn’t actually define diversity—or which were so broad as to be practically useless. It’s taken until 2019 for the SEC to finally define diversity, including gender, ethnicity, and veterans.” California recently became the first U.S. state to require publicly traded companies (with principal executive offices located there) to have women. The progress of women in the boardroom has been glacial. Besides the lack of definition and clear targets, unconscious bias, lack of focus on key roles, lack of mentorship/sponsorship—with some men clearly backing away from mentoring out of fear of the #metoo movement—and lack of flexibility and support for work-life balance were all reasons panelists discussed. 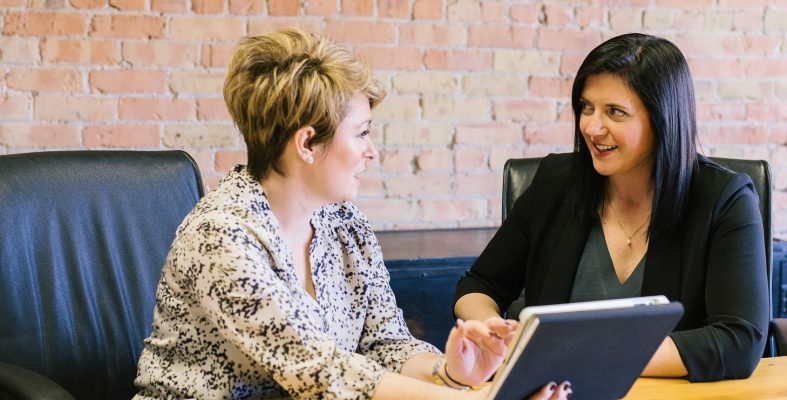 A survey by the Women’s Corporate Directors Foundation of more than 4,000 directors found that male directors over age 55 cited a lack of qualified female candidates as the main reason behind the stagnant number of female directors. In contrast, in the same study, female directors and younger male directors considered the male-dominated networking that often led to the appointment of directors to be the reason behind women’s slow progress. Both developing and demonstrating competence is required. Gloria Mirrone, Sector Leader for Asset Management and Impact Investing at Korn Ferry, reviewed the research of Korn Ferry Institute in partnership with the Rockefeller Foundation, entitled “Women CEOs Speak.” An appreciative inquiry into the qualities and competencies these women bring to their leadership positions include strategic vision, driving results, engaging and inspiring cultures with purpose, resilience, courage, self-awareness, and nimble learning. “The key is to fill and develop the pipeline with talent,” said Gloria. There is a really big need and opportunity to start developing women early—during or even before their first formal leadership experience. We need to school young women on delivering results and then getting credit for the deliverable. You have to put yourself in the place to be rainmaker—connect, be dynamic, bring in the business, meet goals and objectives—if you are passive, they will use you. Lyndsay Harris, Senior Manager, Global Corporate Social Responsibility at Medidata Solutions, identified ways in which engaging employees also builds leadership competencies required for executive leadership positions and board governance, such as skills-based service, also known as pro bono. Medidata sponsors a Social Innovation Lab, which offers employees the opportunity to use their expertise to drive projects at partner organizations, while at the same time gaining industry acumen and contributing to meaningful societal change. Pro bono experience with nonprofit board governance can also contribute to growing competency and confidence, as evidenced by Alice Korngold and the Better World Non-Profit Board Leadership Study. In the final analysis, the results are there; the supply of talent is there and continues to develop. The demand, however, falls short. One area of increasing importance are the voices of the people who manage and/or influence the managers of pension and wealth funds, including Renaye Manley of the Service Employees International Union; Catherine LaMarr, formerly with the Treasurer, State of Connecticut; and Terri Jo Saarela, formerly with the State of Wisconsin Investment Board. Like Larry Fink and his annual call for sustainable leadership to the CEOs of the companies in which his company BlackRock invests, institutional investors who direct trillions of dollars of capital are powerful, and becoming increasingly demanding for diversity—including gender diversity—in the C-suite and boardrooms. Because it works.